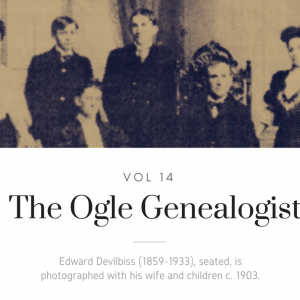 This volume of the Ogle Genealogist includes the 1974 work of noted Tennessee family researcher, David Reagan. 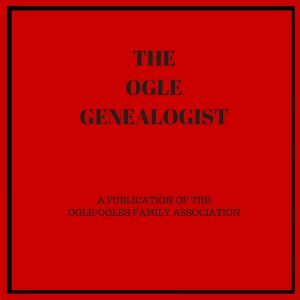 He covers Thomas Ogle (1721-1803) and his sons; Hercules; and William “Billy Ogle. (For those interested in Reagan’s work, we recommend purchasing volume 3 as well, since it contains corrections and updates to the 1974 edition). 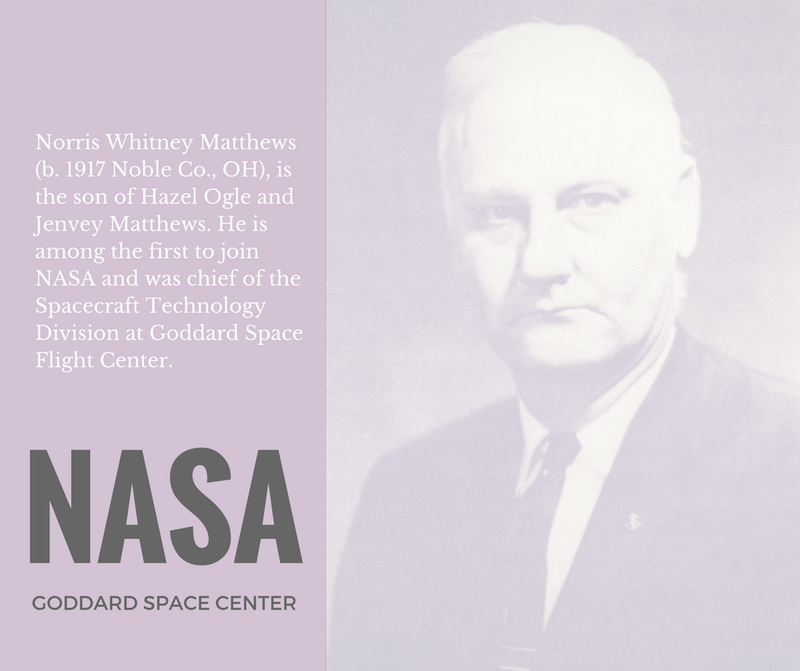 Other highlights include an index of Ogles with U.S. Civil War files at the National Archives; the will of Mordecai Ogle; and an article on Norris Whitney Matthews, son of Hazel Ogle, chief of Spacecraft Technology at Goddard Space Center. 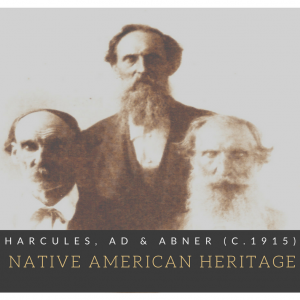 Who are the parents of Thomas, William and Hercules Ogle? 137. Grace Davison m. Ben R. Franklin, Jr.
139. Ruth L. Ogle (d. 22 Apr 1997)5see obituary for “Ruth L. Ogle Smith” in The Ogle Genealogist Volume 19, 1998. O/OFA. www.ogles.org. Print. m. Howard Smith, Jr.